Of note: Cast in chalkware using an antique chocolate mold. 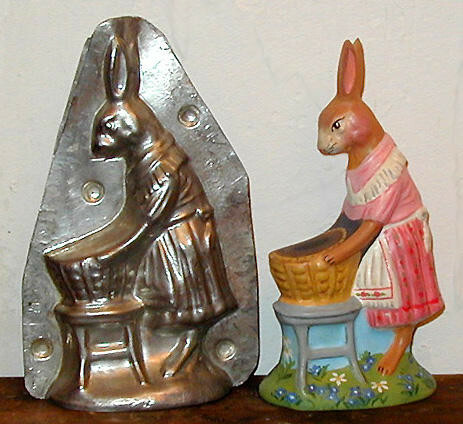 The adorable mother bunny is hand painted, antiqued and measures approx 5.5 inches and will be signed and dated "Bittersweet House Folk Art, K. Campbell, Sherborn, MA". This one of kind piece is featured in Wendy Mullen's book "The Comprehensive Guide to Chocolate Molds: Objects of Art & Artists' Tools"